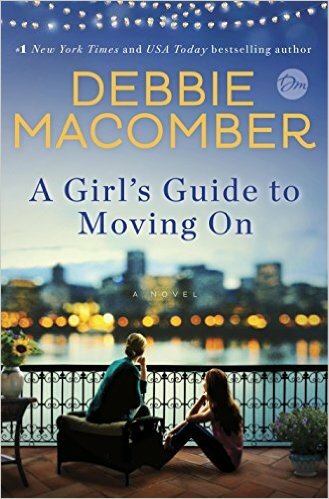 “A Girl's Guide to Moving On” is a heartwarming and at times heartbreaking novel by Debbie Macomber. While this is a standalone novel, and it can indeed be read as such, it is a sequel to “Last One Home”, and fans of that book will definitely want to read this so they can continue the story Cassie, Stephen, and Amiee. Nichole is Cassie’s sister who is devastated after her learning of her husband's infidelity, she is determined to not be like her mother-in-law Leanne and suffer for years, instead she builds a new life for herself. Leanne after seeing how Nichole left decided that after 35 years of dealing with a cheating husband decides that she as had enough and decides to leave also. This is a great character driven drama as readers observe what happens when you go through a divorce, which has left both couples emotionally traumatized as each grieves the death of their marriage and much more; and what is occurring in the present. Filled with wonderful friends 7 family, a strong support cast and plenty of angst while keeping the romance as a secondary subplot, fans will appreciate the courage of these woman..
Ms. Macomber gives her characters a real sense of strength in a very believable manner. When one person is down, there is another one there to life them back up again. They persevere in good times and in bad which makes me feel like I can be a stronger person. I love a book that I can relate to and can help me find strength in myself while enjoying a good story. I hope there third book in this non- series to find out what happens next the last sister.